The government's strategy for combating alcohol abuse in the armed forces has to be changed, a top psychiatrist said. Professor Neil Greenberg, an expert in military health at the Royal College of Psychiatrists, said the strategy, which includes health fairs and awareness campaigns, didn’t stop military personnel from drinking excessively. “For many years the military have relied heavily on alcohol education, so for instance soldiers would have to have a brief every year that tells them drinking is bad for them,” Professor Greenberg told the BBC. “If it is that the military culture encourages people who weren't heavy drinkers before to start drinking heavily then really something needs to be done at a very early stage to encourage people to drink in moderate and socially acceptable ways,” Greenberg added. A 2013 study by the King's Centre for Military Health Research showed that 65 percent of the military were categorized as “higher risk” for their excessive drinking. Speaking to RT, Joe Glenton, who served in the British Army for six years and was deployed in southern Afghanistan for seven months in 2006, said: “It’s a very big issue, drinking is central to British army culture and always has been. “Efforts are being made to improve post-combat treatment, but as much for show as to improve things,” Glenton added. A Commons Defence Select Committee recently concluded the government's strategy had not made any noticeable impact on trying to reduce excessive drinking in the armed forces. The Committee said: “We are not convinced that sufficient focus has been given to dealing with the problem at every level of the chain of command. 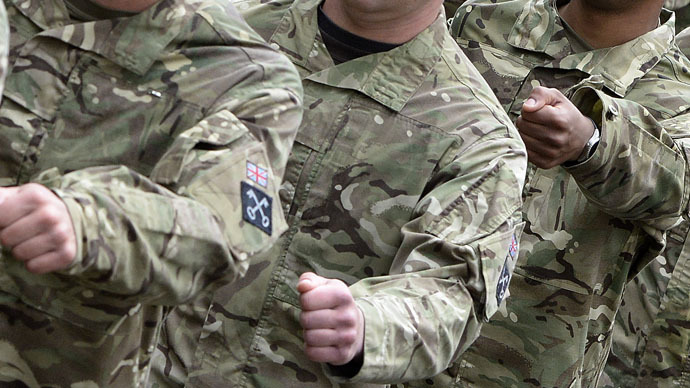 In response to the criticism, a spokesperson from the Ministry of Defence told the BBC: “As within wider society, there is no quick fix to reduce alcohol misuse in the armed forces. The spokesperson added that personnel who drink excessively are disciplined.